With its amazing sunsets and beautiful beaches, South Haven, Michigan is a thriving vacation destination that many flock to over the summer months. However, 85% of its income was coming from this 10-week, warm weather period. South Haven CVB challenged McD to help them boost off-season, off-beach interest through a targeted CVB driven event series that would focus on things to do beyond the beach and establish South Haven as a place visitors want to frequent all year long. Off-beach events fill the streets of South Haven. The first step MCD took to meet this challenge was to wrap up – in a single phrase – what South Haven is beyond the beach. The phrase, “Alive Anytime,” took shape and became a sub-brand for their off-season event series. 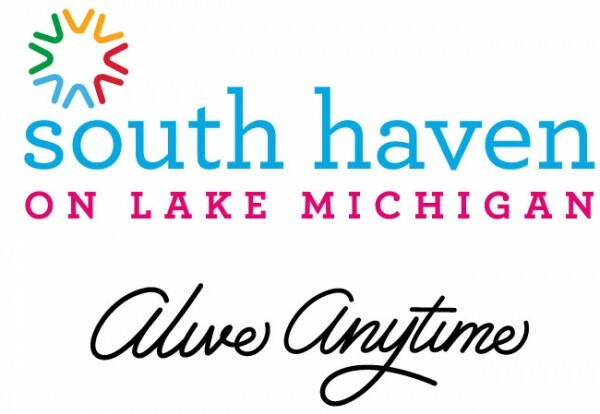 The current South Haven logo was maintained and the Alive Anytime brand is used in conjunction with the South Haven brand. This phrase also helped us establish the voice for our marketing materials, as we measured each piece by asking ourselves how well it said “South Haven is Alive Anytime,” making sure each piece established movement and action through words, images and design. Once we established the brand and voice, McD took to rolling out the South Haven Alive Anytime brand. We helped develop event names and created a custom logo for each event that featured an original, hand-drawn font as well as artistic elements that represent key highlights of the event. The first three events to launch were “Smooth Sunset,” “Haven Harvest” and “Women’s Only Weekend.” We also developed a custom Alive Anytime website (southhavenevents.com) that promotes the entire event series (and can be expanded for future events). 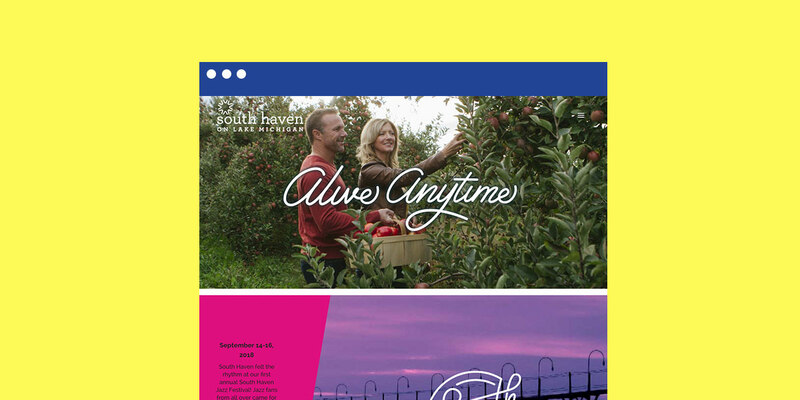 This website not only helped establish the South Haven Alive Anytime brand, it provided potential visitors with more information about each event and how they can purchase ticketed-only portions of the event. The website directed back to the main South Haven brand for booking information. Additionally, we created eye-catching postcards and posters for each event that started a word-of-mouth buzz with guests who were already in South Haven for the summer, encouraging them to take one (or all three). These postcards and posters were on display at lodging, retail and dining properties throughout town and helped persuade their core visitor base to come back for more fun in the “alive anytime season.” Postcards flew out of their holder. Local businesses and community members bought into the South Haven Alive Anytime brand by sharing event promos with their own social media followers, and all three events were well-attended.